Many actors have a variety of talents that help them survive the day to day reality by working odd jobs while they wait to land that dream role. It’s not often that any of us use our many talents to work in a variety of fields. We usually work with the talent that comes most natural to us and spend our lives perfecting it. Not so for James Norman “Jim” Beaver, Jr. This incredibly intelligent, kind, soft spoken, funny and down to earth individual is easily one of the most versatile men in the entertainment field. Besides excelling in American stage, film, and television acting, Jim is a playwright, screenwriter, film historian and novelist. He was a Shakespearean actor for five years, wrote plays, television and movie scripts before concentrating solely on acting, served as a historical consultant for the film “Hollywoodland”, wrote a biography on the life and death of Hollywood figure George Reeves, and recounted his wife’s, Cecily Adams, battle with lung cancer in his poignant memoir “Life’s That Way.” And he did it all displaying mega talent, courage and compassion. For acting aficionados, he is perhaps most familiar to worldwide audiences as the gruff but tenderhearted prospector Whitney Ellsworth on the critically acclaimed HBO Western drama “Deadwood”, a starring role which brought him acclaim and a Screen Actors Guild Awards nomination for Ensemble Acting after three decades of supporting work in films and TV. For all us “Supernatural” fans, we know him best as Robert “Bobby” Stephen Singer, the demon hunting, rough but warmhearted working-class man who has evolved over time into a father-figure for Dean and Sam. Chosen due to his working relationship with executive producer Robert Singer, Beaver made his initial appearance in the first season finale “Devil’s Trap.” He believed the role would be a “one-shot deal,” but instead he has become a recurring guest on the series, having appeared in fifty-four episodes so far, more episodes than anyone besides Jensen and Jared. The character’s portrayal has received wide acclaim from critics as well. John Kubicek of BuddyTV believes Beaver “did his best acting work ever” as Bobby. Tina Charles of TV Guide feels that Bobby “totally rocks” and points out Beaver’s chemistry with Ackles, writing, “I have always loved any scene we get that involves [Bobby and Dean] – they’re unexpectedly emotional.” IGN’s Diana Steenbergen also praised Beaver noting, “… Jim Beaver has done an outstanding job portraying his journey. Not solely a surrogate father figure and keeper of random supernatural knowledge, Bobby has run the gamut of sacrifice, loss, anger, and determination to keep fighting.” And finally my all time favorite, Karla Peterson of the San Diego Union-Tribune suggested, “May his trucker cap get its own star on the Hollywood Walk of Fame.” I’ll second that! Recently, I was incredibly fortunate to have the honor of presenting a few questions to this writing and acting veteran and hopefully you’ll find his answers as illuminating as I did. 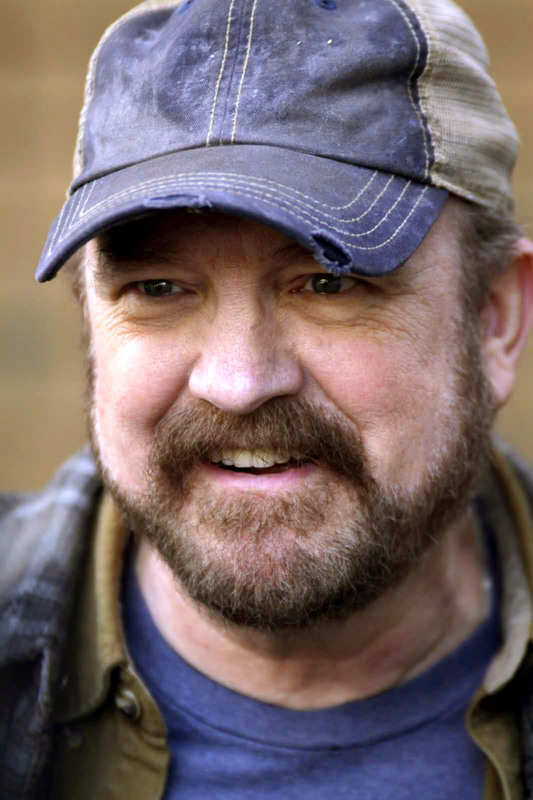 A very big thank you to Jim Beaver for taking the time to talk about Bobby Singer, “Supernatural” and it’s fandom, his acting and writing career, his own “Supernatural” script that almost came into being, and his future prospects. 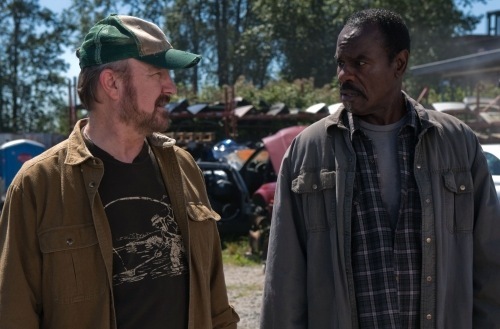 Here’s hoping one future prospect is his timely return to “Supernatural.” The character of Bobby Singer will never get old for many. You became interested in acting while attending Oklahoma Christian College. What there gave you the idea to go into acting? It was my ill-informed intention to go into researching and writing film history. That was my primary interest when I got out of the Marines. But Oklahoma Christian didn’t have any film courses, so I signed up for theatre classes, thinking it would be related and perhaps useful. But when my dorm mate asked me to help him audition for the campus theatre company, I played the other part in his audition scene and both of us got in. I quickly realized that I loved acting better than anything else I’d ever done, and the die was cast, so to speak. So now, all these years later, I’m still acting. My dorm mate is doing life in the New Mexico State Penitentiary. I prefer how I ended up. Like so many other “Supernatural” guest stars, you started your career in theater, five years as a Shakespearean thespian no less, and transitioned to acting later. Do you think beginning in theater is a good way to start an acting career? Well, I transitioned to film & TV acting later. It’s all acting! But yes, theatre is the only way to get well grounded in the craft of acting. You can get lucky and start in TV or film, if you get a break, but those breaks come more easily to people who already have a theatre background. And all of the basic skills of acting are part of a theatre education, and they’re more consistently taught. If you get small parts in TV shows as your first acting experience, you’re only going to be exposed to a few seconds or maybe minutes of work before they call cut and you’re done. But in theatre, an actor, even in a small role, is part of the entire production all through rehearsals and every performance. There is so much to do and learn and experience in that setting that one can never have as a newbie in TV and movies—even if one gets that chance. Also, and most importantly, it makes an actor understand the importance of community and group effort. I can always tell the theatre-trained actors I encounter. They’re almost always more disciplined, more professional, and more generous to their fellow actors, because they’ve experienced shared dressing rooms and jumping into a different role because someone got sick and they’ve swept the theatre before a show and restocked the bathrooms. It’s a way of life, shared life, and it changes how you deal with your profession. You have played so many different characters types in your career. Is there one type you prefer or like the best? I guess I like playing hard or tough characters. I’ve certainly been handed lots of them. But I like to show vulnerability in a character, too. For me, it’s about the writing. If the script is good, if the character is believable and well-rendered, then I’m happy to play it. I suppose I shy away from cowardly or wimpy characters, but that’s more out of habit and ego than anything else. But no one much offers me those characters anymore, and it might be fun to play one again for a change of pace! Of all the roles I’ve see you play, I remember you best as Ellsworth on the critically acclaimed Western “Deadwood.” What was it like working on that series and do you see any similarities between the characters of Ellsworth and Singer? How was it working with Timothy Olyphant? Ellsworth is my favorite role ever. It fit me like my favorite pair of jeans and it was an enormous honor to be selected for that extraordinary ensemble. It’s the thing I’m proudest of in my career, like being last guy on the bench on the ’27 Yankees would be, I guess. It was terrific fun working on that show, because not only did we all love each other, we knew we were on something big, something that was making people sit up and take notice. I don’t know if we were the greatest hour drama in TV history, as some critics claimed, but it was amazing to be part of THAT discussion. It was a hard time in my life in other, more personal, ways. But it was the best professional experience I’ve ever had. 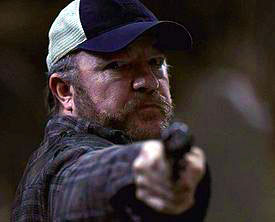 Ellsworth and Bobby Singer are similar in many ways, in that they are gruff men with honorable, loving souls. Ellsworth was perhaps more at a loss to understand the world around him in some ways. Bobby gets it; he knows exactly what’s going on in his world. Ellsworth had to have things explained to him every so often. But they’re both strong, resilient, hard cases with twinkles in their eyes, and both a lot of fun to play. As to Timothy Olyphant, he’s a sweet man, a good man, and one of the funniest people I’ve ever worked with. I loved having scenes with him in DEADWOOD. Despite my current run as Sheriff Shelby on JUSTIFIED, I haven’t had a chance to work with Tim yet on that show. I’m looking forward to it, though. He’s a hoot. You have a long history of writing, novels, plays, reviews, biographies and scripts for TV series including “Alfred Hitchcock Presents” where you were nominated for a CableAce Award. Have you ever thought of writing a script for “Supernatural” and/or joining the series as a staff writer? For a long time, I resisted the idea of writing for SUPERNATURAL. I prefer writing things that come out of my own interests and passions, and, additionally, I’m a lazy writer, and I’m resistant to the work required to write scripts, especially scripts for other people’s projects. I was asked several times in my previous TV writing career to come aboard as a staff writer on various shows, but I wanted to remain a freelancer, mainly because I preferred acting, and staff writing is a full-time job. However, just prior to SUPERNATURAL’s season 7, I decided it would be fun to try, just once, to write a script for the show, which I knew pretty well by that time. I thought I’d write something that gave me a chance to do all sorts of things I’d enjoy doing as Bobby, like playing around with the various languages I’m familiar with in real life, and maybe actually letting the old boy have a bit of a love life. I fleshed out an outline with my pal Paola Ferrari and then went off to write the script on my own. But just as I was getting started, I started finding out about all the big changes coming Bobby’s way in season 7, and my story no longer worked. So I abandoned it. It would have been fun, though, and I think the fans would have liked it. I know Jared and Jensen would have liked it, because they’d have had more days off than usual! You have been with the series for seven years and, finally, last year they started to give your character a background. Did you feel the life they gave young Bobby, and his interaction with his dad, fit the series and the character of Bobby Singer? Absolutely. I thought the back story Bobby was presented with was perfect for him. It explained so much of who he was and how he came to be that way, and it finally gave the audience a sense of depth that had heretofore just been a little mysterious. I wish we could have done more of that kind of stuff, but Bobby’s time ran out. So far Bobby has died three times on the series, twice last year alone. How did you feel about those deaths… especially last year? And when did you become aware that Bobby was going to die last season? I barely noticed the first time Bobby died. It only lasted for a page! But in September of 2011, when I got the call that they were killing off the character, I was pretty shaken. I can’t tell you how much I’ve loved working on this show, with this cast and my wonderful friends on the crew, and even though there was a loose promise that I’d be back as Bobby’s ghost at some point, I was nervous and unhappy, to tell the truth. Not from a story-telling sense, because for the drama, it made perfect sense. Take away everything Sam and Dean have relied on and see how they manage. And I knew Sarah’s script for Bobby’s demise was going to be extraordinary, and it surpassed even my best expectations. But I was scared I wouldn’t get to work with these people much anymore, and that was, and is, a real, palpable sadness for me. When I did get to come back as a ghost, I was pleased to be back, but I was not entirely pleased at the ghost aspect—partly just because I didn’t like the make-up, but also because for a while, it seemed as though I wouldn’t be doing much except watching Sam and Dean with an exasperated look on my face. But that turned into some nice dramatics, too, and I was pretty happy with it. But it was very short-lived, and the note of finality when the boys burned the flask was a bit unsettling for me. I’m trying to get used to the changes that have come Bobby’s, and my, way, but I do miss my SUPERNATURAL family. Seriously, truly miss them. Most fans want to see Bobby on the series again, but not as a ghost or in a dream sequence but as a real, live corporeal person. Do you see that ever happening? Can all Bobby-fans continue to hope that he will make a reappearance this season? The show is called SUPERNATURAL, and as that implies, the rules of real life don’t apply. So I have my own hopes and desires that match the fans’, that Bobby can somehow be resurrected. I don’t know if it will happen. I can simply hope. In a my recent interview with Kim Rhodes, she said she would like to see Bobby and Jody’s budding romance continued and you made a similar comment during Comic con. I think many fans would like to see how that would play out as well. But if Bobby were to return, is that the only direction you would want to take the character? I was SOOOO excited when they gave Jody Mills and Bobby a budding romance. Not just because I got to kiss a beautiful woman (though if I haven’t yet made myself clear, I do very much like that), but because it seemed so right for Bobby’s path of growth as a character. A man who has lost everything and found only a certain cynicism and despair to replace it needs to have things turn around in his life. A romance would not solve all Bobby’s issues, and it would certainly create new ones. But dramatically, I thought it made a great deal of sense at this point in the run of the show. I don’t think it would have worked in season 3 or 4, but now, yes, indeed. I thought that’s where the writers were going when Bobby and Jody connected in “Slash Fiction,” but then that pesky death thing came along and the romance died along with Bobby. That’s very much something I regret about the way things played out. As to what direction I’d like to take the character, aside from the romantic angle, I don’t have desires, really. If Bobby could come back as a real-life, corporeal human, that would make me very happy. I don’t have any great vision for the character beyond that. But it’s not my vision that counts; it’s the vision of Jeremy Carver and Bob Singer and Ben Edlund and all the writers/producers whose task it is to create the story. My job is only to interpret that story, should they choose to give me that job. To me, Bobby served a very essential role in the series, not only at the core of the show’s philosophy, i.e. family bonds, but as a hunter who helped direct a hunter network. We saw how he had phones systems worked out to give hunters the cover and backup they needed on hunts and even shifted info from one hunter to another, setting up allies if the need arose. How do you see the system working without Bobby? Would you like to see the series explore the hunter network more? This may be hard for fans to hear. As an actor on the show, I’ve never had the same perspective as the fans. I love the show and I’m proud of what we’ve done. But I don’t have desires for where it should go or what it should explore (with the exception of the things I’ve mentioned about Bobby, because they would be fun for me to play). I don’t even think about how Bobby’s network would function without him, or what the boys should do, or what form the next Big Bad should take. Think of me as one of the wires or fiber optics that carry phone conversations. It’s not my job to decide what conversations go between the writers and the audience. I’m really only interested in being a good conduit for whatever that conversation is. Many fans were very sad to see Bobby’s house destroyed. So many memories the fans had there. Why do you think the decision was made to change the strong hold from Bobby’s house to Rufus’ cabin? Any chance it will return some day? I can’t imagine how Bobby’s house could come back unless there was some sort of reversal of time or flipping of dimension or alternate reality. There could be flashbacks, of course, but a real return of the house? I think you’ll see a real return of Bobby before that happens, and I don’t even know if that will ever happen. As to why the decision was made to lose Bobby’s house, it was very much part of the whole theme of season 7, to systematically take away from the boys everything that had made their lives (comparatively) easy, to make them have to get past that obstacle in addition to the normal fight against evil. Remember, the soul of drama is conflict and obstacle. You fabricated a very elaborate, and successful, ruse on fans so you could slip in and out of Vancouver without fans becoming suspicious you were filming “Supernatural” again. Was that an idea the series came up with for you or something you came up with yourself? Loved it BTW! Masterfully crafted! The idea to fake out the fans was, I confess, all mine. I don’t know why I get recognized on the street in Vancouver more than anyplace else, but it’s true. So I thought I’d better have a good excuse for being in Vancouver if anyone spotted me, so I came up with the idea of the Abominable Snowman movie. At first, it was just a tweet to explain why I was in the neighborhood, but then people kept asking questions about it, and I had to add to the story, until pretty soon, it became this great, funny, hugely enjoyable ruse for me to see if I could pull off. I actually had to alert the network, studio, and production staff to what I was doing, so they wouldn’t accidentally say something different and blow the game. It was fun. But now I kind of actually want to make an Abominable Snowman movie! After fifty-four episodes on the series, you must have some wonderful memories of Jensen and Jared. Can you share any with us? I love them. Period. As any people who’ve worked together a long time will experience, we’ve had good times and bad times, but I’ve never had a bad time with either of them that wasn’t both my fault and extremely brief. They are fine young men who make me feel very welcome in what is, of course, their domain. They are the stars of the show, the rest of us are guests in several senses of the term. But they ALWAYS make me feel at home, make me feel they are happy I’m there, and that what I feel for them might just be reflected in what they feel for me. Among my best memories are just the day-to-day camaraderie on the set, the bonding we all do over humor. I’ve particularly enjoyed discussions of acting and of old movies with Jared, and we really had a good time last year gathering between scenes in Jensen’s trailer to watch our Texas Rangers in the World Series. Do you have a particular episode(s) you liked more than others? It’s hard for me to pick a favorite episode, but the two Bobby-centric episodes, “Weekend at Bobby’s” and “Death’s Door” are among my best memories of the show. I’m a bit of a dichotomy as an actor. I like to work and I like to have days off. If I’ve only got three scenes in an episode, I enjoy hanging out by myself on the days between scenes. If I’m in every scene in the episode, I’m in hog heaven hanging out with my friends on the set. Either way, I’m good. But in my career, to be handed two episodes that allow the focus to be on my work, that allow me to cover a lot of ground dramatically and emotionally is just a gift from heaven. So those two would have to be my favorites. You, like a lot of the “Supernatural” guest stars, have been making the convention circuit. Is that something you like to do? Do you enjoy meeting fans, and is there any one special fan moment you can share with us? I love meeting the fans at conventions. My only reservations about conventions, other than having to be away from my daughter, is that I get exhausted, particularly my voice. Trying to be heard across big tables in noisy rooms gives me a very hard time, vocally, and I often end up with laryngitis after a convention. But I love meeting and talking with the fans. I really love it. I dislike how fast some of it is, where fans are rushed by with only seconds of contact, but I guess that’s a given at an event with hundreds or even thousands of fans in attendance. All in all, it’s a grand experience that I’m lucky to be part of. One memory sticks out. I was doing a Q&A session at a con in Vancouver a couple of years or so ago, and I started teasing someone who was asking me a serious question. I got a little carried away and flirtatious, and I think I really embarrassed her. I tracked her down later to apologize, and she ended up becoming one of my dearest friends in the world, one of my four or five closest pals. I feel bad about humiliating her in public, but it turned out to be a real gift in my life. Besides “Supernatural,” and yes, I refuse to give up on Bobby’s return, what other projects or roles do you have planned for the future? At this moment—what is it, July 30, 2012? I’ve got nothing lined up. I believe I’ll be going back to work on JUSTIFIED when they start up in the fall, but nothing is set in stone. I’m just happy to have some time at home, a chance to catch up on things that were left undone most of the past seven years. I’ve got a bunch of convention appearances yet to come this year and next, and work always seems to find me, so I’ve no doubt I’ll be busy. But at the moment, the road ahead is clear and empty. I’d love to do a play, but those are tough to schedule when you know you’re going to New Zealand or New Jersey during the course of it. I’m way behind on my writing, so maybe I’ll get back to that. And I’ve got a kid starting middle school, so that might just keep me busy, too! Have to say, this is the first interview I’ve done where a persistent air of sadness seems to settle over certain aspects in a very eerie way. It’s is widely know that the fandom seriously mourns Bobby’s passing immensely and wants nothing more that to have the old grumpy hunter back. But I’m left with no doubt that Jim Beaver mourns the ‘pesky death’ just as much if not more than the fans do themselves. This season of “Supernatural” is supposed to be an attempt at rebuilding fan trust and interest in the series and putting an end to the large number of fan favorite deaths. Turning around negative aspects that have punctuated the last few seasons and restarting, if you will, by returning to the format of the earlier seasons where fans fell in love with the series initially. 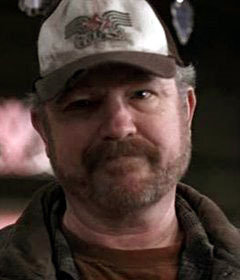 That should definitely include a return of the magnanimous Jim Beaver in the role of Bobby Singer. Here’s hoping that is already in the works. Have to say, I fully believe that if the J2’s have anything to say about it, we will see the return of the J3’s real soon. Anyone wanting to write to the series about Bobby’s untimely death or any other issue, good or bad, should direct their letters to Jeremy Carver, c/o Supernatural, 4000 Warner Blvd., Burbank CA 91505. Many thanks again Mr. Beaver for taking the time to do an interview for us. Hopefully any future ones will be on the happier note of the return of Bobby Singer!